Trust can be tricky for many of us, myself included. It can be scary, seem naïve, and feel vulnerable. We often spend a lot of time and energy shielding ourselves from failure, being taken advantage of, or having our trust violated. What are we really protecting ourselves from? It takes courage for us to trust others, ourselves, and life itself. Trust is essential to all of our relationships, the teams, groups, and communities we’re a part of, and for us to create success and fulfillment at work and in life. What if we expanded our capacity for trust? What if we granted trust with ease, instead of demanding that people (including ourselves) and life earn our trust. 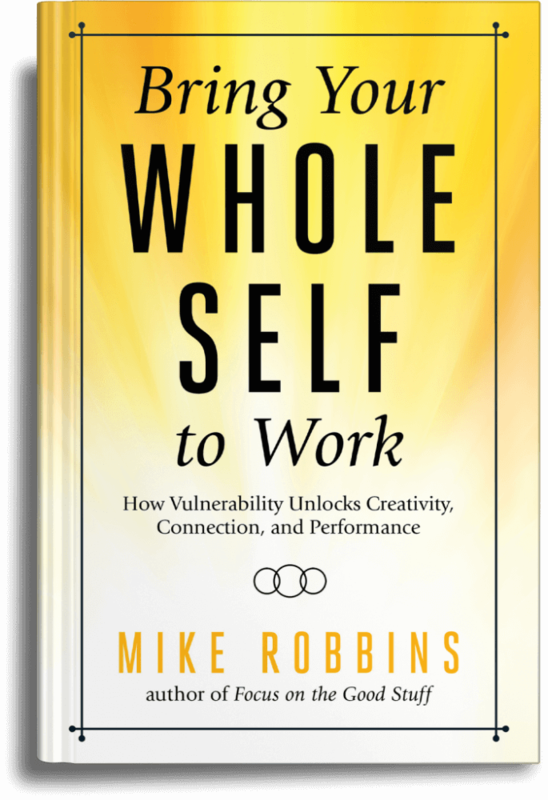 In a recent episode of my Bring Your Whole Self to Work podcast, we discuss this phenomenon and talk about both the challenges we face with respect to trust, and also some specific things we can do to trust ourselves, others, and life more easily. Trust is a generating energy – when we come from a place of trust, we are more likely to have the types of experiences, outcomes, and relationships we want. It’s a leap of faith…just like most important things in life. How easy or difficult is it for you to trust? Share your thoughts, feelings, and insights about this below.